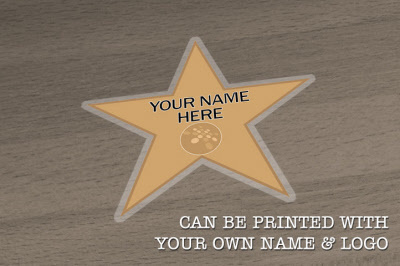 Hollywood Star Shape Floor Sticker, ideal decoration for a themed occasions. Customise with your own text, logo or image for FREE. Graphics are ideal for Instore Promotions, Special Occasions or Party Events.